Faux stone edging blocks that look like real rock are finally here! 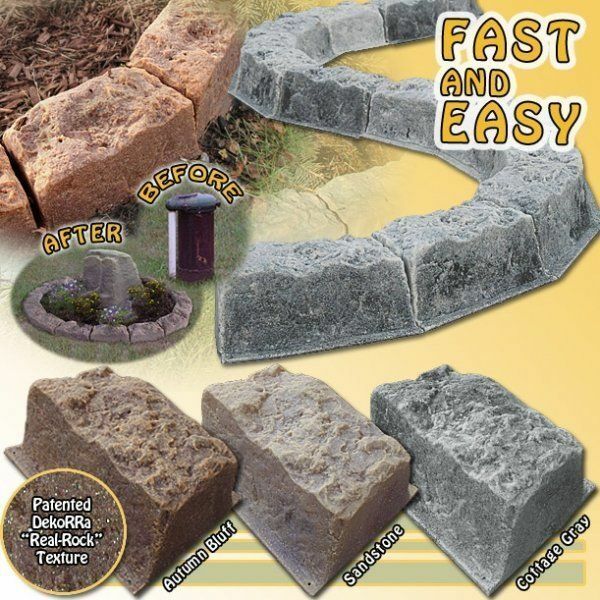 Now you can have the look of real stone edging stones without all the heavy lifting. Also available as tree ring kits and for use around water wells. DekoRRa has done it again! The same award-winning and patented “Real Rock” molding technology used to make the architectural grade rock enclosures is used on these flower bed border stones. The results are amazing! Each stone border block is meticulously molded, producing results so realistic they need to be seen to be believed! 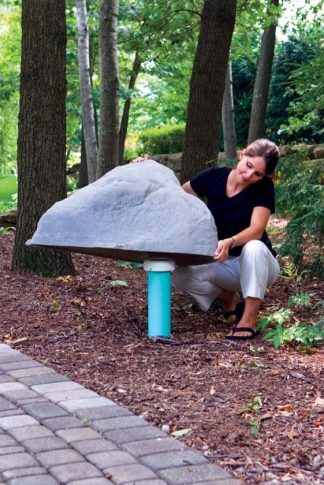 Get the look of real lawn edging stone without all the heavy lifting! Use To Edge Gardens, Flower Beds, Paths, Trees And More! The rough texturing is super realistic and decidedly rock like. Look closely and you’ll notice real flakes of organic material molded into the texture. Incredible attention to detail! And the colors blend together with different shades and hues that appear totally natural and realistic. These aren’t the cheap, shiny plastic edgers we’ve grown accustomed to. This is a whole new breed that’s designed to satisfy even the most finicky of green thumbers. As you know, real garden edging is heavy, difficult to work with and prone to cracking. It’s also a magnet for mold and mildew. DekoRRa left these nasty traits by the wayside and combined the look, feel and texture of natural rock in a lightweight package that is ultra durable, totally U.V. proof, mildew resistant and an absolute joy to work with! Each piece fits snugly together with included ground stakes – easily adjusted to allow for corners and bends. Unique angle cut edges can create straight lines or curves using the same pieces. 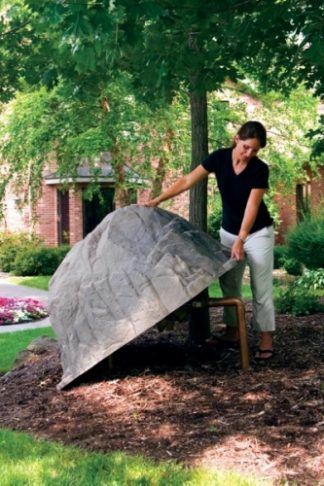 Now anyone can create a professional lawn or garden landscape that practically installs itself! 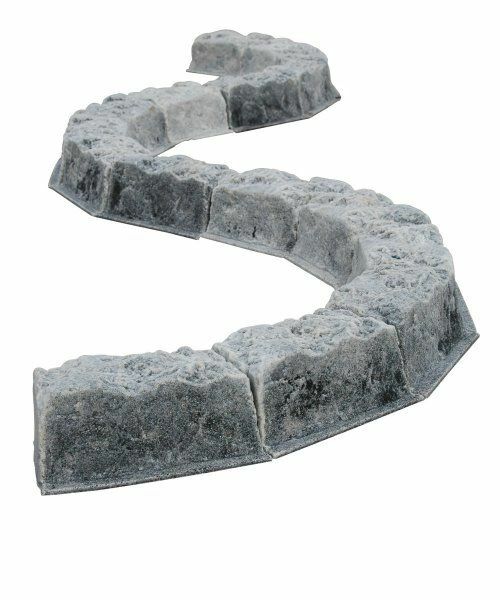 Now your stone edging ideas and landscaping stone ideas can become reality. It’s the best of both worlds with the added benefit of rugged durability. You can kick them, hit them with the weed-wacker, or even stand on them and dance a little jig – they’ll look as good as the day you pulled them from the box. Sold in boxes of 16 pieces, each box produces 12 linear feet of edging. These are pricey compared to other ones I’ve seen at the big box stores but wow do these ever look awesome! 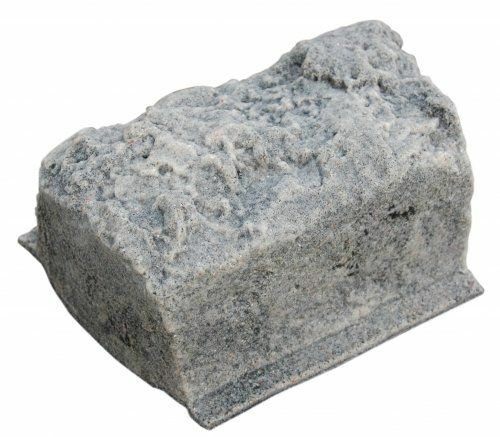 They really do look like real edging stones, especially after sitting outside for a couple weeks. Super easy to install and very well made. Thanks! Very nice product. Looks very much like stone, will be interesting to see how it weathers overy time. Also easy to install. Only negative is price. 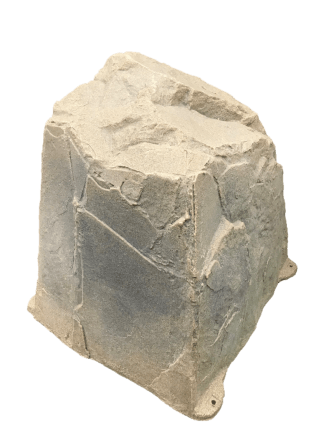 Fast turnaround time and great customer service…I happened to run short and needed one additional edging stone to complete my project, so I contacted customer service to request an additional stone. Two were sent to me at no extra cost! Thank you. Also, the product looks very realistic (beyond my expectations). Very easy to install. If tree roots or other underground obstacles are in the way simply slant the anchors. I used a rubber mallet usually just the wooden handle to push the anchors into the ground. Sometimes will need the rubber part of mallet. I’ve had sod placed next to them and they look natural. As for the price, yes they cost more than buying real stone edgers from the hardware store but there is no weight to carry other than a box.